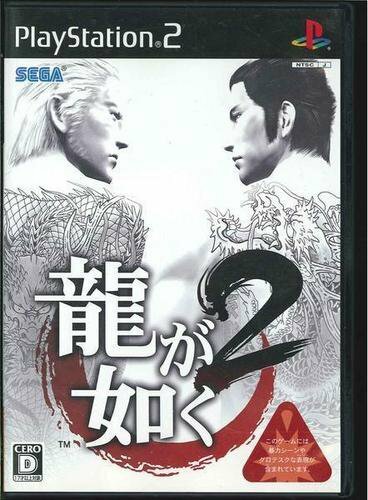 PS2 Yakuza 2 (JPN title: Ryu ga Gotoku 2 Like A Dragon) Game is JAPANESE VERSION Condition: USED (VERY GOOD complete condition with instruction manual & outer case)Shipping: Via Airmail from JapanPayment: I only accept Paypal Please note that there could be local import tax at custom of your country and that is to be covered by buyer RETURN:Accepted when reported within 14 days of receipt About us:We are located in Saitama JAPAN, suburban city of TOKYO.We sell Japanese goods. Thank you very much for your interest! !THANK YOU FOR LOOKING!! Powered by eCRATER . List your items fast and easy and manage your active items.Powered by eCRATER . List your items fast and easy and manage your active items.